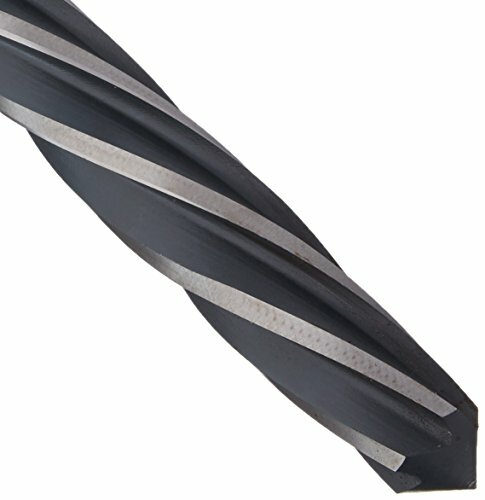 Champion Cutting Tool XL86-1-5/16 Brute Platinum Hex Shank Bridge Reamer, Black/Bright by Champion Cutting Tool Corp at In The National Interest. MPN: XL86-1-5/16. Hurry! Limited time offer. Offer valid only while supplies last. Brute Platinum XL86 Hex Shank Bridge Reamers align and enlarge holes in structural steel. They are ideally used in hex shank rotary impact sockets. Brute Platinum XL86 Hex Shank Bridge Reamers align and enlarge holes in structural steel. They are ideally used in hex shank rotary impact sockets. XL86 Reamers are made of premium high speed steel for heavy duty reaming out misaligned or off-size holes. The left hand spiral, right hand cut, keeps the operator safe by ejecting chips ahead of the tool. Heavy Duty Hex Shank Bridge Reamers enlarge and align holes in structural steel. Point Diameter: 1-1/16", Cutting Diameter: 1-5/16"
If you have any questions about this product by Champion Cutting Tool Corp, contact us by completing and submitting the form below. If you are looking for a specif part number, please include it with your message.